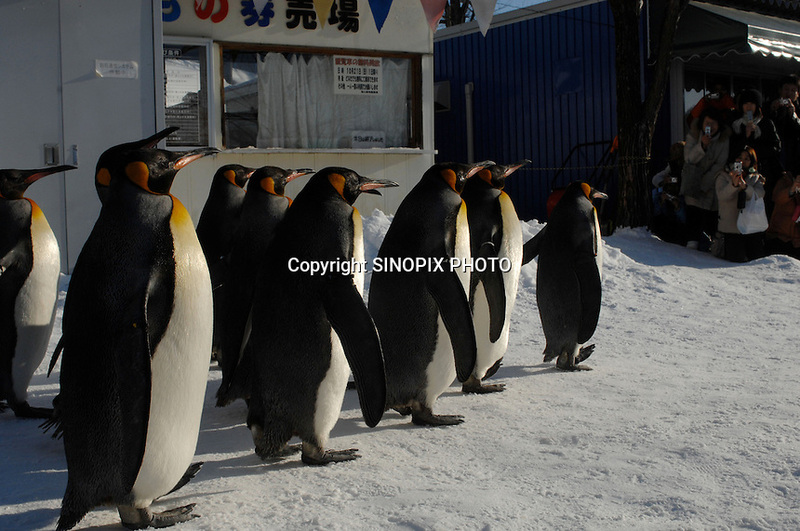 Penguins on parade at isolated Asahiyama Zoo in freezing Hokkaido prefecture in northern Japan. The visitor numbers have increased ten fold to 3 million in the past few years since the introdution of the parade and other interactive facilities. Only Ueno Zoo in Central Tokyo has more visitors. The penguins take a long walk along at ice track that takes about 30 minutes twice a day.